I recently bought a track light set from Amazon, a Progress group like one I got a few years ago. It's basically a very nice set at a very reasonable price. One of the three fixture heads was defective, however. This kind of thing is to be expected once in a rare while, and it happens to me once in a rare while. The rub is that I needed to install all the rest of the structure before I could have identified that the lighting head had a defect. The real world being what it is, this took a few hours and involved irreversible steps in fitting the pieces and using up parts that can't be readily removed, such as molly bolts. After various trouble-shooting approaches and head-scratching, I contacted Amazon to see if I could get a replacement light head. The customer service representative (who was based in Uruguay) was impressively nice and helpful. However, neither Amazon nor Progess had the ability to supply just a part. They would be glad to replace the whole set if I took it down, that being unfortunately rather a nuisance from my perspective. Eventually, we hit on the expedient of Amazon sending me a new set and me having thirty days to send back to old one, at no expense to me. (They are sending it by expedited shipping, which I didn't ask for and don't particually care about.) This works for me, since I can merely extract the needed light head from the kit; then I will return the new shipment, with only the substitution of the defective part. Although it wasn't said explicitly, I believe that the intent was that I proceed exactly this way, although officially I am uninstalling the previous equipment and installing the replacement assembly in its place. I will be happy, and Progress and Amazon will be happy. They will get back all new materials, but for the head. I can't talk myself into the view that it is ethically inferior behavior for me to return pieces in a condition superior to those they agreed to accept. I presume that no one will try to examine or repair what I return, but that it will just go into a dumpster and be considered part of the cost of doing business. Perhaps the most curious part of the whole story is that there are kits of two light heads that would have solved the problem at less expense all around – but the policies of the big distributors aren't set up to make such a deal. Well, everyone will end up happy, and that's the main thing. 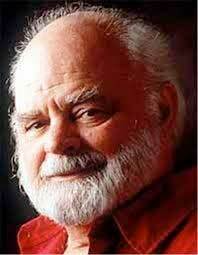 As an instructor remarked in a class I took many years ago, American culture has no acceptance of death. It's as if dying were optional, or perhaps unspeakably morally reprehensible. The default procedure for emergency medical technicians is to attempt resuscitation in the event of cardiac or respiratory arrest. CPR may be approriate in a hospital setting, where patients at risk are frequently observed and often on electronic monitors. There, an event can be discovered early enough that the brain has only a relatively brief time without its critical supply of oxygen, and the care team has at least some knowledge of the patient. In the community, CPR most often has dismal long-term neurological outcomes. By the time it happens, the brain as been anoxic for too long for full recovery, even if normal heart and lung function is restored. In nearly all states of this country, a person may supply legally binding advanced directives for life-sustaining treatment. In this one, a person may appoint an agent who may issue binding directives about what he might wish. The person may also express his own preferences, which however are not legally binding. I find it flabbergasting that I could appoint someone to hypothesize about what my wishes would be, but that I lack authority to express binding statements about what I do wish. Go figure. The State has made some progress in creating a form, Massachusetts Orders for Life-Sustaining Treatment (MOLST), which is not legally binding but is generally honored by care providers. It requires the signature of a physician, again in contrast to the naming of a health care proxy, who requires no physician consent to issue authoritative statements. The form, like most forms, is simplistic and provides no place for statements beyond answers to its own multi-choice questions. I have executed such a form, which you may find here, appending my own statement of wishes. The rub is getting the views out to whoever might be in a position of providing care to me in the event of my own incapacity to speak. I don't know how likely that would be, but I think about it often enough that it makes sense to plan. I've duly posted a copy of the MOLST on my refrigerator, which is the customary place for EMTs to look. 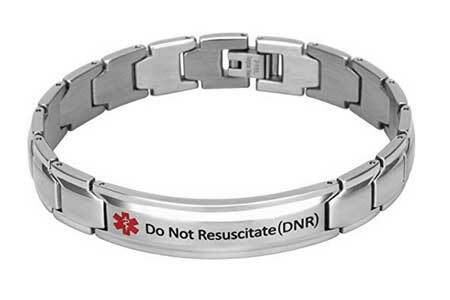 I found contradicting statements about whether I could get a DNR bracelet without a physician's order. It turns out that I was able to. A copy of the MOLST form, signed by my PCP, is in my wallet whenever I leave the house. I hope and trust that the bracelet, which EMTs are usually trained to look for, would slow things down enough that they would next turn to my wallet. Meanwhile, I go about my merry and healthy daily life. The bracelet is unobstrusive to me and passers by. Perhaps the paint will wear off after a while. We can cross that bridge if we come to it. Classical music is one of the passions of my adult life. If I had had piano training as a child, it might have been the passion of my life. When I first came to the Boston area, there were four radio stations playing classical music: WGBH, WBUR, WHRB and WCRB. The first two of these have switched to a talk format, and the last has been bought up by WGBH. Now, there are one and a half stations playing classical music, and I'm out of range of the pick of the pack, WHRB. I've built up a CD collection of things that aren't often played on air – often long, vocal, and in foreign languages – and, more latterly, taken to internet radio. About twenty years ago, I moved to the North Shore, where radio signals from Boston are iffy. Even with an outdoor antenna, I couldn't pick up WHRB. WGBH was cutting down its classical programming. More recently, I tried internet radio. That direction became promising. Figuring out hardware was an issue. For the last few years, I have been working with various configurations of Apple devices, with uneven and diminishing success. Even with all components replaced with brand-new versions, the system drops wifi connections frequently. That might be okay if things were programmed to try to reconnect to where they last were in the event of signal loss. Instead, they just give up. I can restart them manually, which takes a number of steps. More and more often, as iOS gets upgraded, the issues are worse and it takes a reboot to get things back on track. Meanwhile, the norm for sound systems is to become part of a large home network – and Apple is the premium brand. In the last few months, my ONKYO 8210 amplifier, which I inherited from my mother, intermittently refused to work, which I took as a sign that its days were near over. Over my life, I have bought most of my electronic sound equipment from Audio Lab in Cambridge. Remarkably, this old-style expert audiophile shop is still in business in the current era of web sales and big box stores. I returned there, after a fair amount of online research, since I needed someone who knew more that I did. The gentleman there listed to my needs and then suggested the ONKYO TX 8260 receiver and amplifier, remarking that "it's much better than it has any right to be," though he had much more expensive models of some of the most formidable names in the field. I felt somewhat dubious about replacing my equipment with a direct descendant, but the store has always done right by me before. He did so again. So far, the results have been excellent. The system has not dropped its wifi connection once. I have been exploring various radio and other web streaming services. The issue of funding seems to be key. Classical music, which tends to have long pieces, mixes poorly with the advertising demands of commerical radio. Listener-supported stations, such as NPR outlets, must hearken to the not necessarily sophisticated or advanced tastes of their listeners – and periodically interrupt their programming for fund-faising. The best options usually are publicly supported entities, which are subject to budget pressures. The classical stream of Radio Nederlands Worldwide, probably the pick of the pack, closed a few years ago. RAI Radio 5, the Italian radio channel operated by the state-owned public-broadcasting organization RAI, is my clear favorite at this point. A close second is WHRB, the Harvard University station, which mixes classical programming with jazz, blues, hillbilly and sports, and has for as long as I can remember. Presumably there is a solid supporting endowment in place, with unsalaried student staff. I am trying other streams, but finding that the vast majority of them suffer from steering strongly toward the well-known, lighter, and shorter selections from the vast classical literature. Well, my goal was to complete the work in August, and it's done… barring that the 750 bricks I ordered weren't quite the 754 I needed, so I will have to get four more, eventually. It was a bit of rush job, as lifetime standards go, so the workmanship is a little low. There is a half inch crown that I can see if I look for it. Fortunately, that won't matter for drainage purposes. There's also a wide joint somewhere that I've lost track of. I'm sure I'll see it another day. Mainly, I see all the other work that needs to be done, though I'm certainly glad to see the rubbish gone and things prepared for winter's ice. A task well begun is half done, they say. I wouldn't go quite as far as that, but getting a neat and thoughtful start is sound policy. Laying the brick is going quicker than I had allowed for, but moving the dirt out of the way is hard work in the sultry weather we've been having. The heat index has been over 100° in the shade, and I've been working in the full son. I've lost three or four pounds in as many days, despite drinking large quantities of fluid and being generally loose in my diet. Each year, besides working to maintain the parts of my house and yard that I have already brought into some reasonable degree of control, I try to add an area that especially deserves attention. This year, my goal has been to clear and clean the area immediately surrounding my house. 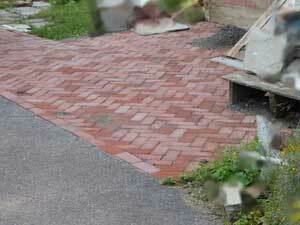 In an area between my driveway and the rear of the house, I decided to lay brick. Last fall, I dug it up and leveled it to slope gently away from the house and toward the back of the yard. This might sound like a modest and trivial thing, but it is far beyond that. There were years of overgrown shrubs and vines above the ground, and buried trash of all kinds below. I was very glad to see that part of the work over. Now comes the work of laying the brick. By the numbers, that is slightly daunting, with about seven tons of bricks and a ton of stone dust to bed them in, especially since it's early August with the heat index approaching 100°. Fortunately, the task is readily broken down into manageable chunks, since a brick is designed to be a unit that's convenient for working with one's hands. 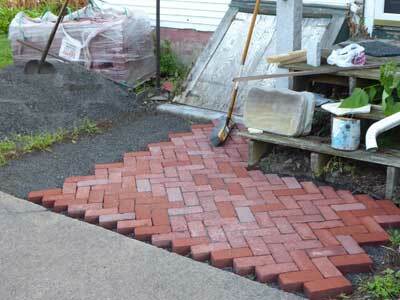 I generally like working with my hands and have taken well to brick-laying in particular. It just will take a little while. I recently had occasion to conduct business with the Social Security Administration, one the the few times in my life when I've done so. I tried to do this through the online system, which was an interesting experience. My business was routine, typical of that of the over 100 million beneficiaries of the Social Security system. After eight weeks, I received neither a response nor even an acknowledgment of my submission. I tried calling the local office on the phone, thinking I could either get things figured out that way or make an appointment for a visit in person. I was connected to a voice-recognition system that didn't have an option for the question I wanted to ask. It advised me that there would be an estimated half an hour wait to talk with a person. It would take less time to drive to the local office, so I did that. At the local office, there was not a single person waiting in line. A friendly staff member at the reception desk immediately helped me. 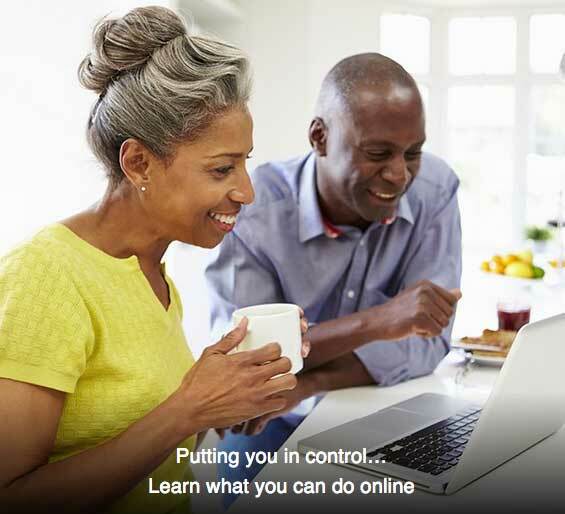 After half a minute, he recognized the problem: Social Security's computer system was not smart enough to recognize that a person it had previously dealt with could have new business. So, my correspondence had gone into a black hole. Within a few minutes, the gentleman who helped me had completed what needed to be done, giving me copies of the business for my records. I find it flabbergasting that a system the size of Social Security should have a fundamental flaw that makes it unworkable for a huge subclass of uses – a flaw that is recognized by people within its staff. You'd think they'd back off on their heavy promotions of it, or at least arrange to send users an error message if their transactions don't go through. That is a fundamental of computer programming. Well, thanks to a helpful front-line staff member, I completed my business. It took the SSA over four months to complete an extremely routine piece of business. Meanwhile, they sent me reminders that I should do give them information they already had. I received incorrect information about the process four times. The people I spoke with were generally helpful and aware of the system's problems. The management is amazingly poor, however. It delivered, for me, extremely bad service at much more expense to the SSA than vaguely necessary or appropriate. It is a good thing that I did not have urgent or critical needs. Others may not be in such fortunate circumstances. For the last several years since I cleaned up my diet, I have made a point of having an annual cheeseburger on the 4th of July. Sometimes this has been quite good, sometimes disappointing. Somewhere along the line, I added the custom of having a glass of ale with the meal and have found that I enjoyed the ale more than the cheeseburger. The cheeseburger, even when I enjoyed eating it, ended up smelling up the kitchen for a number of days afterwards. After last year, I spent a while researching candidate ales for this year's celebration. This year, I decided to try a Reuben sandwich rather than a cheeseburger as a sinful treat. 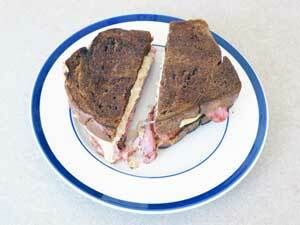 The Reuben is generally considered to be American in origin, so it fits in with the holiday. It was good and gooey, and didn't leave the kitchen reeking of smoky grease. Whether I'll order one for my last meal is another question. After considerable search for ales, I found that a microbrewery less than a mile away, True North Ale, had won a recent world competition for its Belgian blond ale, Vincianne. My personal favorite of True North products is different, but the world-class label feels on-target to me. It is very good. – And I do find it amazing how often the best answer turns out to be very close to home. For many years, every spring the larvae of winter moth (Operophtera brumata) have decimated the trees in my yard and the surrounding area. They have been a severe pest, imported from Europe and the Near East. The caterpillars emerge at the same time as tree buds are opening. They have been so thick that the ground underneath has been dark with their droppings, a mess that has taken multiple rains to wash away. Last year and this year, they are gone. The story seems too good to be true, but all evidence is that it is true. 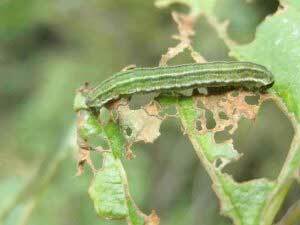 Control of them has been one of the great success stories of biological pest management. There is a species-specific parasite, C. albicans, which a devoted team from the University of Massachusetts at Amherts has carefully introduced and monitored. The reports are well worth reading. 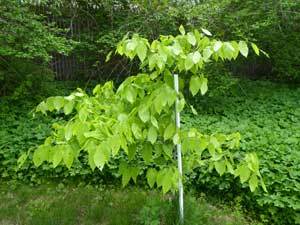 My young trees are unscathed, full of beautiful growth, shoots and light green leaves. Figuring out how to lift heavy stones raises the question of how to hold onto them. For a shape that is vaguely rectangular, a strap around it will usually do the trick. That approach doesn't work for a rounded stone. Some sort of sack or net is needed. In our internet era, most things can be readily found and procured. Indeed, there are small nets made to carry substantial weights, but these are very pricey. A net a couple of feet square that meets Department of Defence procurement specifications, which for whatever reason most suppliers generally wish to do, can easily run over a thousand dollars. At a random moment, the idea came to me out of nowhere that I could make one. This immediately seemed intriguing, especially because I get a peculiar enjoyment of doing such things with my hands. 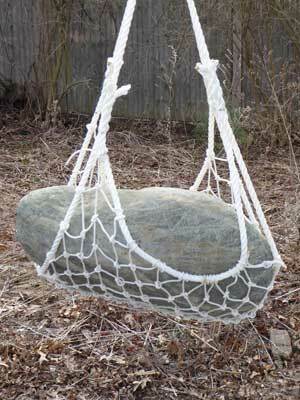 It turns out that the internet was immediately helpful for those who wish to make nets rather than buy them. Besides clear directions, it offers small quantities of very strong materials. I was readily able to get a hundred feed of Kevlar cord, with a break strength of over 500 pounds per strand, for very short money. Not surprisingly, the craft of netmaking is well-established and elegant. Nets must have good ability to reshape themselves to fit their intended contents and have low vulnerability from a local injury. They can't come unravelled if one filament breaks. The strands slide a little loosely to fit themselves to mild pulls, but the individual knot tightens hard given an aggressive yank. When the tension goes away, it loosens again. My net worked the first time without flaw. 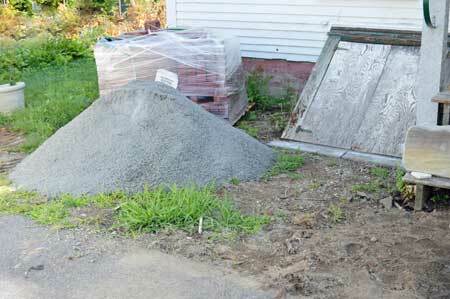 The stone in the picture is perhaps something over a hundred pounds. I am confident the net would carry far more than that. The hoists I have recently been installing will get used for their intended purpose a few hours of the year. It struck me that, for the rest of the time, they might be good places for a bird feeder. I disassembled and thoroughly cleaned the Droll Yankee feeder I have had for decades and hung it up to see what would happen. As suddenly as the group of animals coalesced, it disappeared. For the rest of the day, I did not see a creature at the feeder, and then for a couple of weeks afterwards, there was nary a critter. 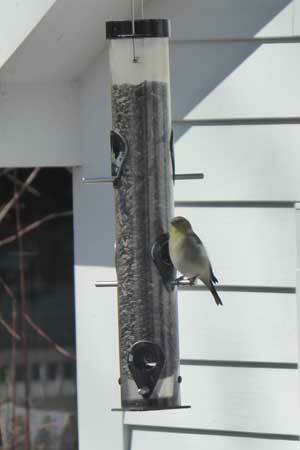 More recently, some finches have become regular visitors. I know the location is a little too exposed for birds' comfort. As my mother remarked to me, they want some branches nearby to drop down from. Well, I'm happy with a modest volume of visits. If the birds have better options, more power to them. In the past, I've had flocks of sparrows empty the feeder in an hour. That isn't quite what I intended. We had a blizzard earlier this week. During most of the storm on Tuesday, the finch shown above was at the feeder. Toward the end of the day, he flew off. The blizzard continued through much of the night. The finch did not come back the next day or the one ofter that. He was, I fear, a casualty of the snowy havoc. I miss him. It is one of the few times in my life when I have come to know an individual wild bird. He would spend hours a day perched at the feeder, not necessarily feeding, just sitting there. He seemed happy with the spot. If a little exposed from above, it was on the other hand fairly well protected from the prevailing winds by the garage. He was just beginning to show signs of shifting to the brighter plumage of spring. The finches have been faithful and the most common visitors. Mourning doves and squirrels clean up the fallen seed beneath the feeder. There's an occasional cardinal. In our recent very hot period, the birds hardly fed at all. There was a swarm of twelve or fifteen sparrows for a couple of hours, but those left as quickly as they appeared. 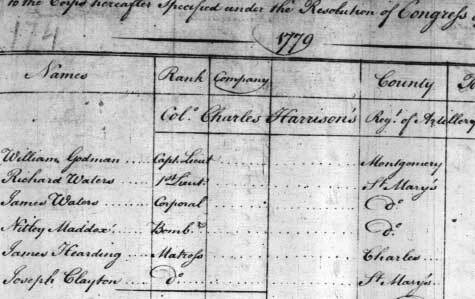 After much searching, I have found clear primary source documentation that Joseph Clayton of Nelson County, Kentucky came from St. Mary's County, Maryland. This is consistent with previous surmises, basically a happy ending. I will be revising the white paper on the Family History page. It will become quite a bit shorter, providing a biography of Joseph Clayton and describing possible leads back along the ancestral trail. That may take me a few weeks. I have often enough faced the problem of how to lift heavy objects around my home. There isn't even a well-positioned tree to use as an occasional expedient. Solving the lifting problem will enable me to think about other questions that would be academic otherwise. So, I have set out to create two beams for hoisting things, one at the entrance to my garage and the other above the bulkhead leading into my basement shop. Implementing the plan raised a couple of curious issues. One was simply obtaining a beam. Lumber of any thickness simply is no longer a routine commodity. In searching for a 4" x 6", I came across a single twisted old 4" x 10" at the local lumber yard. It was much bigger than what I needed, but they were happy to get rid of it for $10 and I was happy to obtain it for that price. There won't be any question about sturdiness if my ambitions for lifting grow. The second issue was getting it up in the air. That would have been simple if there were something higher around to lift it from, but the absence of such a feature was the problem I had set out to solve in the first place. At perhaps 80 pounds, it was not an overwhelming weight on the ground, but 80 pounds ten feet in the air is another matter. I am not good at hovering. I can climb a ladder, but the beam needed to be moved at least six feet horizontally into the garage to reach its balance point without any load. 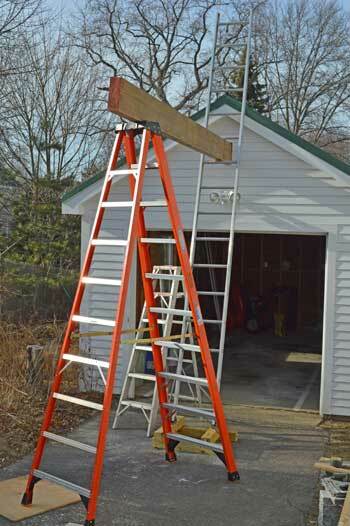 For that, I would have needed something like a self-propelled ladder – basically, a small crane. I improvised with what I had, moving the beam a quarter of an inch at a time. Without fancy equipment or an army of helpers, I resorted to all kinds of clever and not-so-clever steps. I must confess, it was a rather nerve-racking process. Well, as you can see, I made it, though hardly in elegant style. The experience made me wonder about barn raisings. These were, I understand, community events, so shortage of manpower should not have been an issue. Still, getting big pieces of wood up into the air woud raise for the barn-building group most of the same issues that I faced. They certainly didn't have cranes. I wonder how they lifted those heavy building members. The beam for hoisting things over the bulkhead door will pose a different set of problems. The pieces of wood I add won't be big, but figuring out how to get them firmly attached to the house is a puzzle yet to be solved, since it's far from evident where the underlying framing pieces are. The things in my house are a mixture of new and old. My kitchen, for instance, is quite up-to-date with various recent, electronically assisted equipment. Some things, such as cast-iron skillets have remained the same over time, so the fact that mine are old is irrelvant. A small number are older, hand-crafted pieces. 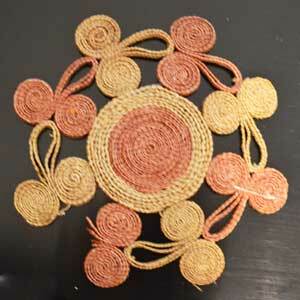 I bought the woven straw trivet for a couple of dollars in the 1970s because I liked the design. I still do. It was made in the People's Republic of China at a time when that was considered an unspeakably evil place. I was surprised that it managed to make it to market in the U.S. It's rather faded and worn by now, but I've been unable to find a replacement that's anything like it. Such things are no longer made. The people who were their manufacturers have advanced their standard of living and now are probably making electronic components. The daubière is, according to the stamp on the bottom, a No. 12 of L'Incomparable of Vallauris, in Provence. 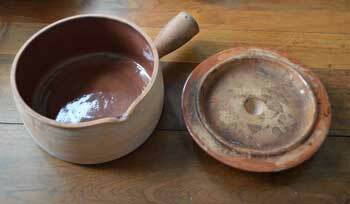 I use it for daubes and other such cooking. Vallauris is noted for its earthenware, I gather, but this particular firm does not appear to be around any longer. Things change. Most often, changes are for the better, as new possibilities open and old ones become less attractive, rather than becoming impossible. Progress usually comes at some price, however. If the waning of hand-crafted wares follows a betterment in the standard of living of their former makers, of course I see the overall advantage of that. At the same time, I feel some sorrow and nostalgia at the loss of the beauty of many of these products. They are often made of humble and readily available materials, made into something out of the ordinary by human hands. That is a beautiful kind of origin and creation. We have had an early winter cold snap that is unprecedented in my memory. A couple of very cold days would not be a surprise, or a couple weeks of cold in February. We had a few inches of snow on Christmas. After that, nighttime temperatures dropped to zero or below, with daytime temperatures often in the single digits. It's supposed to warm up enough for a few inches of snow again on Thursday, and then drop again into cold perhaps even worse than now. Curiously, the cold hasn't been an impediment to my morning run. 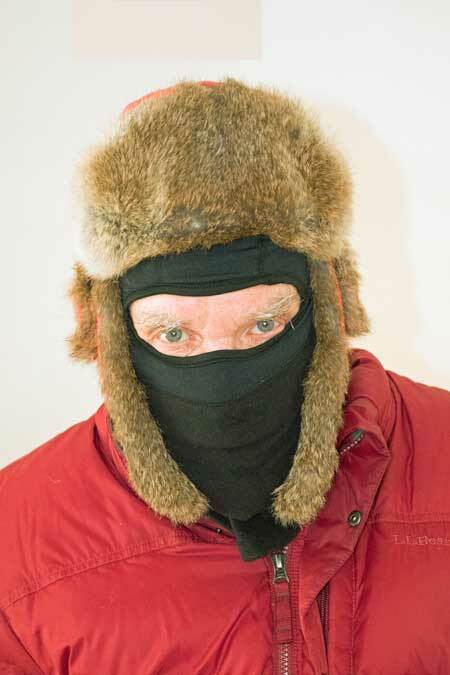 I have a few layers over my torso, lined pants, a Mad Bomber fur hat over a balaclava, and sub-Arctic mittens. I don't feel cold while I'm out there for an hour, even this morning with a reported windchill factor of – 20°. The balaclava gets moist and yucky by the end of it, but I ignore that and wash it after every session. There are face masks with breathing holes, but the cold has sometimes been enough that I feel my lungs shocked breathing it in. Rightly or wrongly, I'm anxious to avoid triggering an inflammatory cycle that might start to create allergies to fine particles, which I've never had a problem with. So, I shrug off the dampness of the full balaclava, which at least functions to warm the air a bit before I breath it in. Indoors activities have sometimes been a bit problematic. Houses in this area are designed to heat to 70° when the outside temperature is 9°, not when the windchill factor is – 20°. The inside temperatures were hovering around 60° this morning, which is okay for active tasks, but not so for sedentary activities such as playing the piano. I have resisted turning on the four heat pumps (which I have for air conditioning), but I am going to give it a go. A couple of days of cold indoors would be tolerable, a couple of weeks shouldn't happen. It’s hard to believe that it’s only Jan. 2 and we’ve already experienced a depth of cold this winter not seen in a century. We had 16" of snow last Thursday. Early this morning, according to the Boston Globe, the windchill hit – 37°, according to the National Weather Service – 25°. With my gas heating system going nonstop, the heat pump system in action, and the kitchen stove at 500° baking vegetables, the inside temperature was down to 59°. At that level, sedentary activities leave me nearly unable to forget the cold. Fortunately, by now the temperature has risen to 0° outside, so that it's possible to heat the house normally. Tomorrow it's supposed to get up to 17°, on Friday to 52°. That makes for a temperature variation of around 80° within a few days. Theresa May [was] talking what bore every outward resemblance to common sense. No one wants to associate himself with indeterminate leadership and uncertain policies. E mi vien detto non v'ha settimana senza carneficina; e il popolo vi accorre come a solennità. I delitti intanto crescono co' supplicizj. And they tell me there's never a week without a an execution; and the people run to it like a festival. Meanwhile, crime increases along with the torturing. I am very deliberately using this quotation in a broader context than the one for which I imagine it was intended. My experience with our health care systems suggests that this extension is entirely appropriate. Our health care providers, who are often very wonderful individuals, are working in a microcosm of our system of subspecialty professionals with 20/20 tunnel vision, lavishly supported by funding from those who don't understand such technical things. If health care is only one of many such specialized professions, it is one that receives highly unusual support and credence – which is sometimes due, but I would say most often not. Er weiß die rechte Zeit. I leave it to Him to figure that out. He knows the right time. Bach did not write the text for the cantatas. I am not sure what the source of this one is. Although it is clearly intended for use in a religious service, I am taking it in a non-denominational spirit. It is curious that, in Homo sapiens, the female looks to wear colorful dress, while the alpha male of our time wears a grey suit. Usually, as Darwin notes, it's the other way 'round. I have been looking for decades for a good book about stoneworking techniques. This is by far the best discussion around. It has some limitations in restricting its scope to historical approaches and relatively soft stones, such as marble, but the fundamentals it presents are timeless and generalizable. The convenience of modern electric tools is a corollary to the older techniques that are the focus of this chapter. If it should be presumed that any medical practitioner is able to penetrate into the recesses of a lunatic's mind, at the moment he committed an outrage; to view the internal play of obtruding thoughts, and contending motives – and to depose that he knew the GOOD and EVIL, RIGHT and WRONG he was about to commit, it must be confessed that such knowledge is beyond the limits of our attainment. Dio salvi l'umanità da un giovinezza che sembra la vecchiaia. God save humanity from a youth that seems like old age. Es scheint glaublich, daß man durch die Wahl immer sollte den besten erkiesen können; aber ich habe lange gelebt und viele Menschen gesehen: wie wenige gibt es, die zu wählen verstehen, und wie wenige, die wählen durfen. It seems plausible that people would always elect the best person when they could choose; but I have lived a long time and seen a lot of people: how few there are, who understand how to choose, and how few, who are able to choose. The Reverend Martin Luther King was a gifted orator and leader. I have read the statement, attributed to his wife, Coretta Scott King, that he set aside the prepared text of this speech midway and began to extemporize, in front of an enormous audience. I believe it. If you watch, about twelve minutes into the video, he is no longer looking down at his notes and is becoming impassioned in his message. This is all the more remarkable because the phrase the speech is remembered for – I have a dream – was something bubbling up from his heart spontaneously, not laboriously wordsmithed and rehearsed. … it is in human nature to value any novelty, however slight, in one's own possession. I have often made the same observation as Darwin but am puzzled to explain it. Ich bin ja nur das kleinste Teil der Welt. I am, indeed, the world's mere smallest part.